Some of the most distinguished hotels in the world still stand in Southeast Asia's capitals, each bearing long histories of serving the rich and politically powerful. Staying in one of these countries with a little extra cash on you? Try booking a stay at one of these historic hotels - you'll get more than just a luxurious room, you'll find yourself sleeping with history. The Strand was especially well placed to receive travelers, as most of them arrived by riverboat on the Yangon River; the hotel's location near the quay guaranteed continuing business from distinguished visitors to Myanmar, including Rudyard Kipling, Lord Mountbatten, and more recently Mick Jagger and Oliver Stone. The newly-renovated Strand respects the spirit of the original, with cane and mahogany furniture, canopied beds, period bathroom fixtures and quiet, efficient butler service recalling the hotel's heyday in the first decades of the 20th century. The Raffles Hotel is a Singapore icon whose history is deeply intertwined with its host country's. Its halls have seen esteemed guests like Rudyard Kipling, Charlie Chaplin and Michael Jackson come and go, and Singapore's last tiger was shot in its billiards room in 1902. 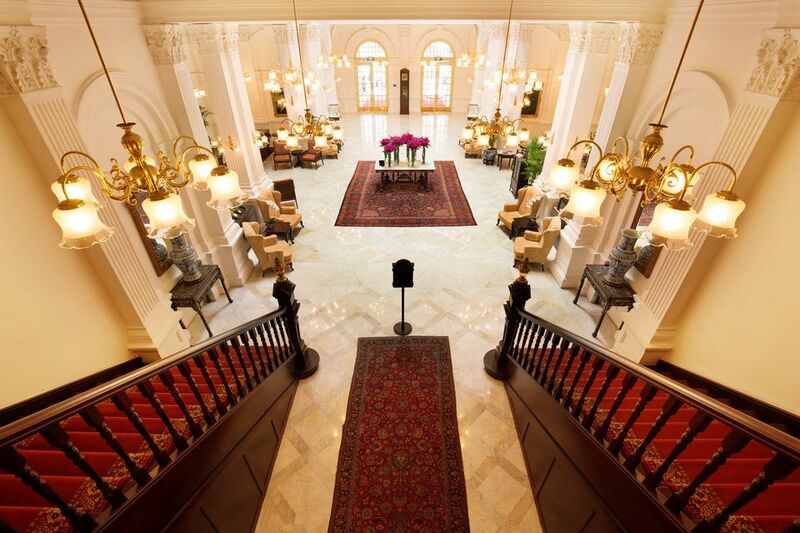 The Sarkies Brothers built the Raffles in a Colonial Revival style that still takes its guests back to Singapore's own origins as a British Straits Settlement. While the Raffles' 103 suites all come with the most modern amenities like LED TVs and satellite access, guests still enjoy access to a very old-fashioned butler service, on call 24 hours a day. The Sarkies brothers' first hotel in Southeast Asia, the Eastern & Oriental, opened to Penang's upper classes in 1885 (a good four years before the Raffles opened its doors). At the time, the Eastern & Oriental's accommodations were leading-edge: bathrooms en suite with hot and cold running water, in-room telephones and an expansive seafront made the E&O one of the best hotel deals on this side of the British Empire. The guest list included Douglas Fairbanks, Somerset Maugham and Hermann Hesse. If they ever came back, they might turn their noses up at the blazing fast WiFi in today's rooms, but the butler service will make them feel right at home in the hotel's spacious and richly-decorated period interiors. The Manila Hotel was the Philippines' first truly modern hotel, and has outlasted its colonial builders and the turmoil of the 20th century. Opened with much fanfare in 1912, the Hotel began to serve as an unofficial center of political power in the island colony. General Douglas MacArthur lived in a suite on the fifth floor of the Manila Hotel; the MacArthur Suite is today one of the hotel's finest rooms (its guests enjoy 24-hour butler service, among other perks). Other famous guests include Ernest Hemingway, the Beatles, and world leaders visiting the Philippines like John F. Kennedy and Sir Anthony Eden. The Hotel is an integral part of the Rizal Park skyline today, overlooking the capital's premier park and providing easy access to historical sites like the National Museum and the walled city of Intramuros. Located on Bangkok's Chao Phraya River, the Mandarin Oriental Hotel owes its location to its historical role as an accommodation for foreign sailors. Opened as the Oriental in 1876, the hotel evolved in splendor to become the Thai capital's first luxury hotel, its standards approved by no less than King Chulalongkorn himself. At present, the hotel's 368 guestrooms remain some of the city's most in-demand accommodations. Some suites are named after writers who once stayed on the premises (both Joseph Conrad and Barbara Cartland share that honor).